We started this business to provide automotive service at a superior quality. Customers will pay about half compared to most automotive dealerships for the same service. We have over 31 years of dealer experience including ASE Master tech certifications. 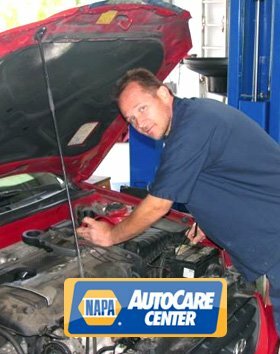 We are ASE Certified and now we’re an official NAPA Auto Care Center! Our dealer experience and training will offer you a better experience at this facility. Our competitive advantage is that both owners are the operators of the business. The employees consist of a service advisor and four auto technicians. All Phase Auto Repair is a AAA Approved Auto Repair facility. The AAA Approved Auto Repair program approves only facilities that meet the highest standards in vehicle repair, competency, reliability, cleanliness, overall experience and fair pricing. Repair facilities, such as All Phase Auto Repair must also employ only trained, certified technicians, and offer timely repairs, convenient hours and courteous service. AAA makes sure that your automobile repairs are conducted only by professionals, and All Phase Auto Repair in Essex, MD is backed with the double industry standard 2 year / 24 month warranty . Click HERE to view our Careers page.